New entrepreneurs and existing owners have to create a good working environment because if they do nothing when an organization suffers from distrust, the business will face a quick downfall. “The Speed of Trust” tends to resolve this issue and suggest a long-term strategy for dealing with similar situations. For reducing this sense of suspicion and doubt, we outline “The Speed of Trust” and present it in an easily-absorbable manner. 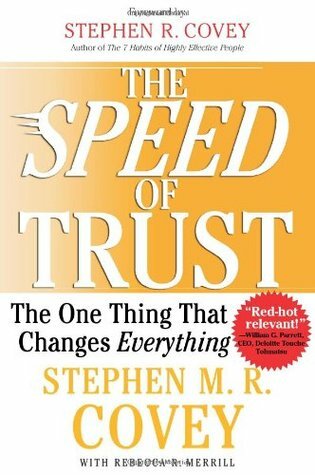 Who Should Read “The Speed of Trust”? And Why? All you hear is the word Trust, by now you probably think that it is a magical potion for productivity and efficiency. Covey and Rebecca R. Merill intensely allude to one point- In every country, low-trust businesses tend to be more corrupt and politically orientated. If you want to be a part of a fraternal organization, you as a reader should immediately grasp that organizations with mutual trust among the associates are much more collaborative, carrying, efficient and supportive. When you enter the business world (if you are young), you’ll improve your ability to judge people’s intention. 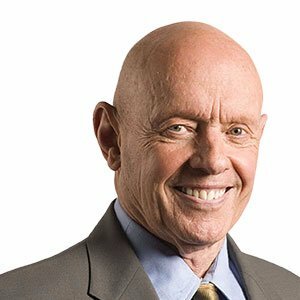 Stephen R. Covey was a US citizen, born in Utah (Salt Lake City) on October 24, 1932. Eighty decades later the world, not just America experienced a great loss with the death of one of the greatest writers, philosophers, theorists, and speakers of his own time. Despite being known for numerous things, he reached the top with his PrinciplesCentered Living theories that Stephen developed and taught to others. 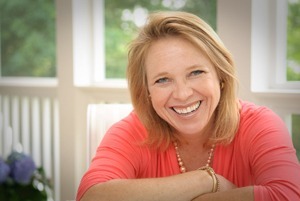 Rebecca Merrill was and still is a trusted companion of A. Roger Merrill and Stephen R. Covey on different writing activities, and one of them is “The Speed of Trust” book that she co-authored with Covey. Every person should place its trust in the core of inner values, capable of shaping relationships among friends and family and inside business organizations. Stephen R. Covey‘s book supports a well-designed framework for comprehending trust. It also sets various guidelines that can restore and sometimes even build trust. Many anecdotes clarify its teaching. Trust is not something that you can take for granted. Why should we emphasize the significance of mutual confidence? Many extraordinary business leaders, writers, spiritual gurus and different authorities lent their reputation for this masterpiece. A significant portion of them agrees and endorse the theory that trust is the most crucial aspect of any business. You should also understand that confidence and trust are two separate concepts. Confidence focuses on the intellectual and technical aspect of doing stuff, while trust reflects the personal respect that an individual receives. It is quite challenging for a new entrepreneur to understand the importance of maintaining a healthy working environment quickly. If you ever read the “The 7 Habits of Highly Effective People” book, you’ll find a lot of similarities here – (author’s writing style). Co-authored by two exceptional individuals and authors of “7 Habits”- Stephen R. Covey, and Rebecca R. Merrill, the book will quickly get the best out of you. According to some, this thrilling masterpiece it is not so intense as ” The 7 Habits” written by Covey and Merrill. It is recommended by academics, professors, and writers to readers who want to improve in the business world and seek approval of long-lasting truths about the significance of trust in entrepreneurship. Trust is crucial to the authority – and, the same thing goes for- the empowerment process in any business organization, overcoming financial issues, and bettering interpersonal relationships. Today’s businesses suffer because they cannot create an atmosphere of support. An appropriate environment can produce the best results, where things are done in a fast, low-cost and efficient way. Trust and confidence can improve company’s financial position, but the lack of it can cause an economic disaster. In such situation, where no signs of trust are visible, employees are going to try to save themselves and avoid contact with the other associates. Soon you’ll see that people are insisting on getting everything done in written form because now they’ll be facing pressure from certain co-workers. Any communication form will disappear gradually, and the owner will quickly realize that the business is starting to fall apart. To explain things more symbolically: The absence of trust and communication is something like taxes. The existence of confidence in the company is a yearly dividend. As you already know that credibility is the basis of maintaining self-confidence. It is not right to ask and beg others to believe in you – if you haven’t made yourself clear. These small and little things matter the most. For instance, many adults came up with these “small” lies or threats (if you don’t get up early and go to school, you’ll spend the next weekend at home) to their kids. People quite often create a habit of breaking promises or commitments to others or themselves, because of that, they create a deep-seated and environmental distrust. Integrity is not synonymous at all with the term honesty. Integrity was a rare attribute in the ancient world, and it is even rarer today. It stands for saying what you mean, without any tricks or playing roles; it is all about commitment and trust. By honoring your obligations to yourself, you have built the foundation of real integrity. A proper intent represents a clear vision about future activities and matters. It doesn’t matter if other people do not understand your intentions, what does matter – Are your intentions pure? To sum it all up, your real motives about doing something are the basis for a useful purpose. So if you want to improve your plans, you’ll most definitely need a concise and accurate understanding of what truly motivates you in life. As much as a person tries to resolve personal issues with another co-worker, the main problem always lies in the organization. “The Speed of Trust” is more than just a guidebook, according to some – as if it’s written for every organization regardless of the industry. Such applicable classics are hard to find, here’s one! !